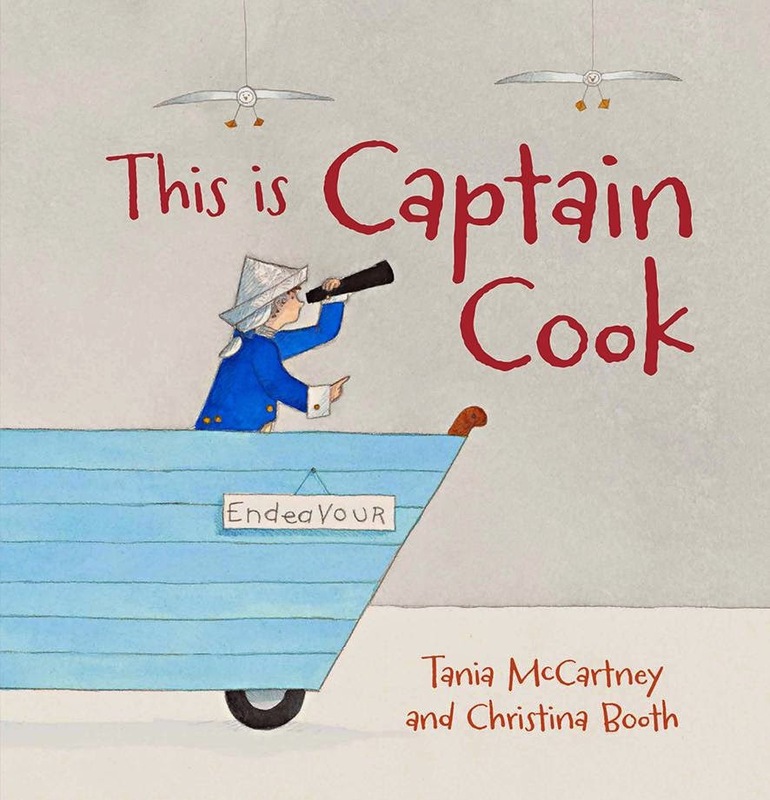 This is Captain Cook is a children’s picture book, written by Tania McCartney, illustrated by Christina Booth and published by NLA Publishing (2015). From the publisher: Captain James Cook loved to sail. He loved making maps (he was very good at it, too) and he particularly loved shiny buttons. In this charming picture book, little ones can celebrate the life of a great mariner and true adventurer. McCartney’s book concept has resulted in a wonderful hybrid of fiction and fact. The facts are delivered via the narrator for the school play, meaning kids will learn about Cook almost without realising it. In simple sentences young readers are presented with the salient facts about Cook’s life, tied together with the humour of his supposed fascination with shiny buttons. Booth’s artwork is gorgeous and entices us to repeated readings so we can identify something new each time. Even the end papers are fun! I loved that this children’s picture book is also a celebration of that marvellous institution, the school play. (And chooks!) Parents and teachers will be hard pressed not to giggle as they read this one aloud. Children who’ve spent any time at school will recognise the enthusiasm and the chaos inherent in a school play, and enjoy the many visual jokes as well. I believe This is Captain Cook deserves a place in any school’s History resources, and in libraries and homes everywhere. Discover excellent Captain Cook resources at ABC Splash, and Teacher Notes at NLA Publishing.